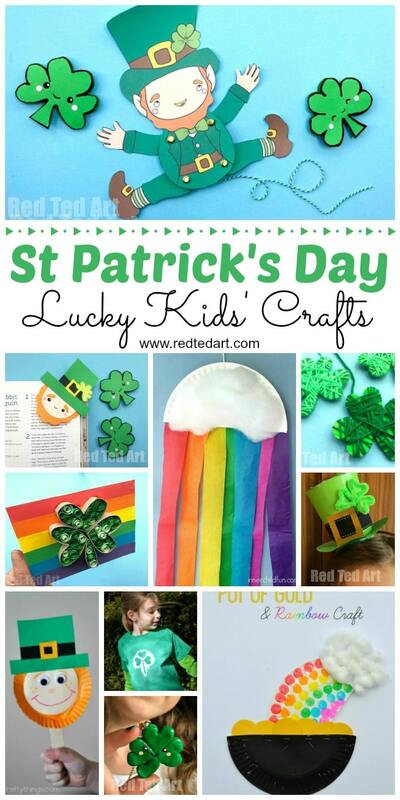 Finally, a fantastic set of St Patrick’s Day Crafts for kids. 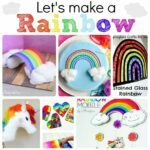 Whether you are after some paper shamrock crafts, some colour rainbow ideas (including oh so yummy rainbow cookies) or super cute and fun Leprechaun Crafts (do check out our Leprechaun Paper Puppet!! )… something for everyone. 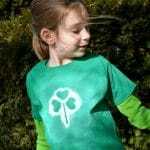 This St Paddy’s Day get into the festive spirit!! 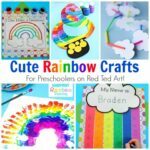 As with previous “round ups”, some crafts appear in more than one category (e.g. 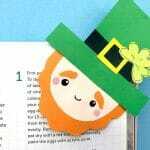 the Shamrock Bookmark Corner) as they do fit into different categories at the same time (e.g. 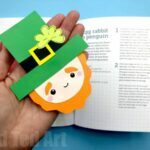 the Shamrock Crafts section and the Bookmark Corner section!). 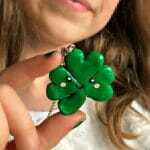 I hope that is useful!!! 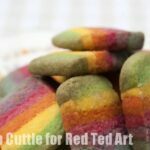 First published in February 2018 – updated and republished for your convenience! 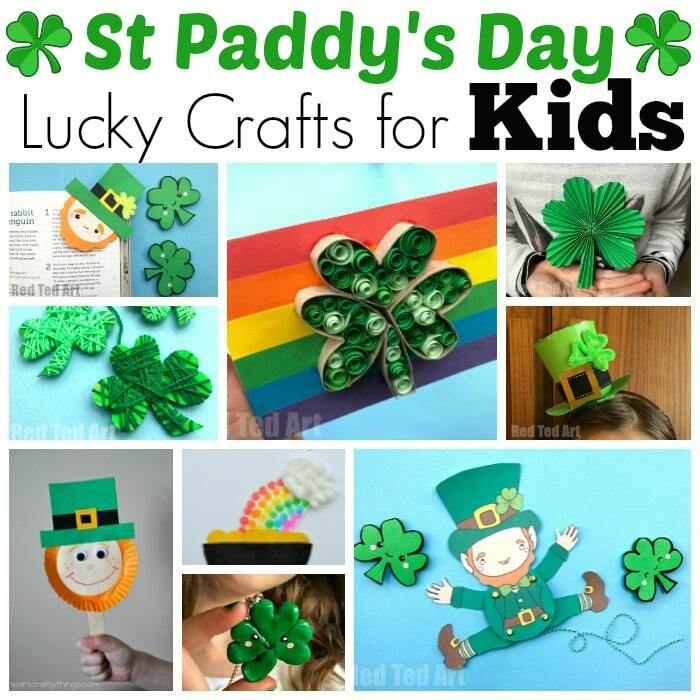 Lucky Shamrock Crafts are of course the perfect theme for St Patrick’s Day Crafts for kids! 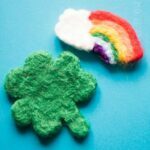 Here are some great Shamrock Crafts for kids to make! 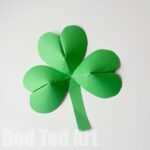 Love the Shamrock decorations! 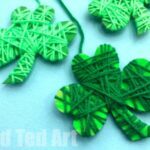 Arty Paper Quilled Shamrock Cards/ Art these are great for kids of all ages from preschool through to grown ups! 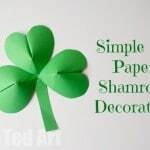 Paper Fan Shamrocks – a simple, but super effective paper crafting technique. 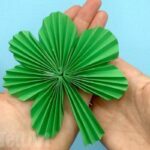 Turn paper fans or “concertina paper” into Shamrocks! 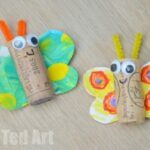 Paper Plate Tambourines (so cute!) love those golden coin shakers! 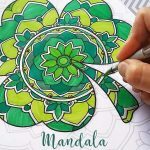 And how about these gorgeous Mandala Shamrocks to colour? Beautiful! 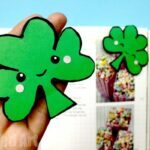 As you know we lover bookmark corners and have corner bookmark designs for all occassions.. including St Patrick’s Day Bookmarks! 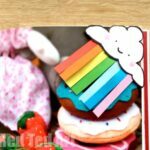 These little bookmarks have a kawaii theme going to! 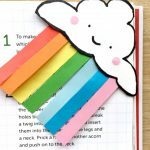 Super cute Kawaii Corner Bookmarks for St Paddy’s! 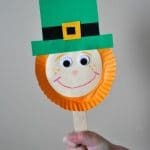 Love a good St Patrick’s Day Crafts like this. 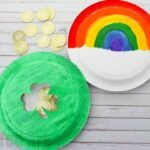 No St Patrick’s Day Crafts list would be complete without some wonderful Leprechaun Craft Ideas for kids.. have you got a favourite? I think they are all so stinking cute!!! 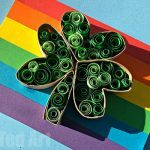 Happy St Patrick’s Day Crafting! 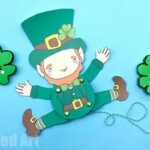 Super cute Printable Leprechaun Paper Puppet – choose from colour your own ready to print and assemble! 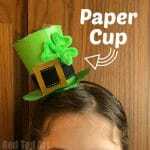 Make your own St Patrick’s Day Hat DIY – these mini top hats are just the cutest! 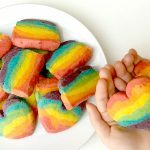 Can you guess what they are made from?! 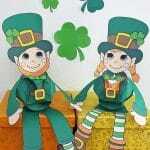 Paper Bauble Boy & Girl Leprechaun Puppets – love the choices of colour your own, boy and girl leprechauns! 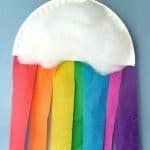 Another wonderful St Patrick’s Day Crafts theme are RAINBOWS! Who doesn’t love brightly coloured crafts for kids? 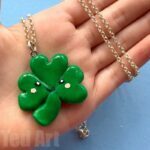 Here are some of our favourite especially for St Patrick’s Day! 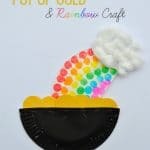 Or how about a rainbow paper plate craft from I Heart Crafty Things? 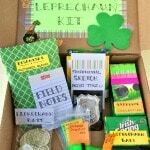 Hope that you have a very Lucky St Patrick’s Day and that you enjoyed all our Shamrock Crafts, Leprechaun Craft Ideas as well as our selection of Rainbow Crafts!